Misdemeanor marijuana convictions 10 years ago haunt Robert Elmes today. Elmes was a Lyndonville selectman when five Vermont state troopers swooped in — along with a helicopter — and busted him at home, apparently after spotting plants from the air, he said. The news media covered his arrest, and Elmes eventually stepped down from office. A licensed financial adviser, he had to notify federal financial regulators. As recently as a few weeks ago, Elmes said, Canadian border authorities grilled him about the arrest for several minutes. Elmes is one of more than 330 people so far who have taken Gov. 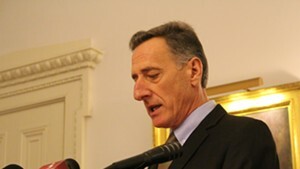 Peter Shumlin up on his offer to pardon people convicted of marijuana possession in his final days in office. The governor said he will consider pardoning people convicted of possessing one ounce of marijuana or less if they don’t have convictions for violence or felonies. Shumlin’s administration estimates several thousand people could meet the criteria. Elmes was reportedly convicted of misdemeanor counts of possession and cultivation of pot, according to news accounts. Shumlin has mentioned pardons only for possession — and Elmes acknowledged he’s not sure what might happen in his case. 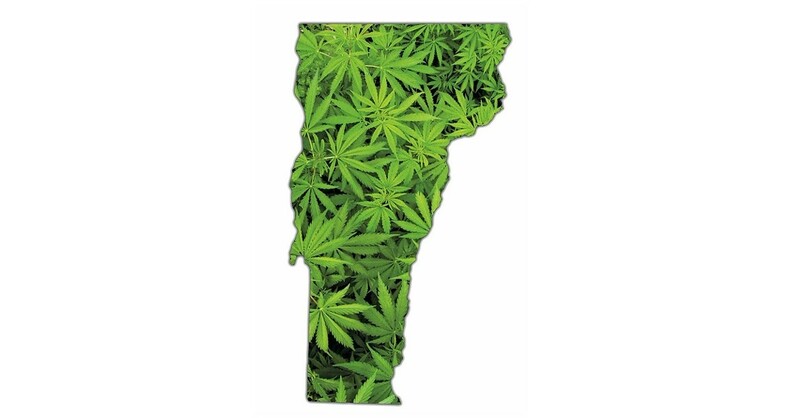 Shumlin signed a decriminalization bill in 2013 that made possession of less than one ounce of pot a civil offense. He also supported the legislature’s failed bid earlier this year to make the drug legal. Many of the people applying for pardons would not have faced criminal charges had their cases occurred after 2013, Shumlin spokesman Scott Coriell noted. Further, with marijuana now legal in Massachusetts, many expect Vermont will eventually follow suit. Shumlin, who has issued only six pardons during in his six years in office, has vowed to finish reviewing applications and granting pardons by the time governor-elect Phil Scott takes office on January 7. Scott said he supports Shumlin’s move, as long as the work is finished by then. Some in the legal community, however, are skeptical that the task can be finished that quickly during the holiday season. And many people who are eligible may not see news of the offer, which Shumlin touted in a recent video, before the December 25 deadline. People can apply for a pardon online. Why did Shumlin wait until now to offer the pardons? No one in the legal or advocacy community ever proposed doing it, Coriell said. Shumlin and his team came up with the idea in recent weeks, he said. “Had someone mentioned it to us sooner, we may have considered it sooner,” Coriell said. Though he is now retired, Pitaniello searched for work in recent years after losing his job at a local gas station. On several occasions, he said, his job applications were rejected after he disclosed he had a criminal conviction. He said he was turned down for a car loan, and has repeatedly been forced to wait 72 hours to buy firearms, the mandatory waiting period when the F.B.I.’s background-check system shows a buyer has a criminal conviction.